Ideal “crossover” unit for parking lots and sports fields. Operator controls are located right at the handle bars to easily fine tune the striper’s operation without stopping production. Powerful 4hp Honda engine with a weight of 145 pounds. 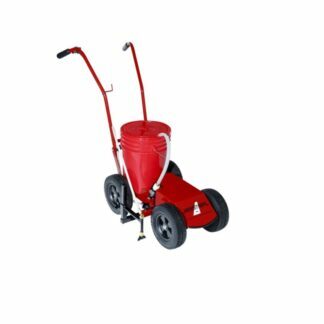 Convenient swivel front wheel and electronic pressure control. Operates with a maximum working pressure of 3300 psi. 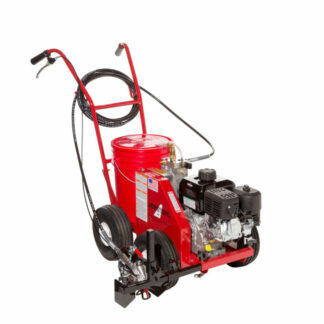 LineLazer 3400 field marker is built off of the same platform as Graco’s industry leading LineLazer parking lot striper. This proven striper is chosen by field marking professionals looking for a versatile walk-behind striping solution capable of day to day field striping as well as occasional parking lot maintenance. The LineLazer 3400 is able to spray latex paint, goal post paint, synthetic and removable synthetic, common traffic and architectural paints. 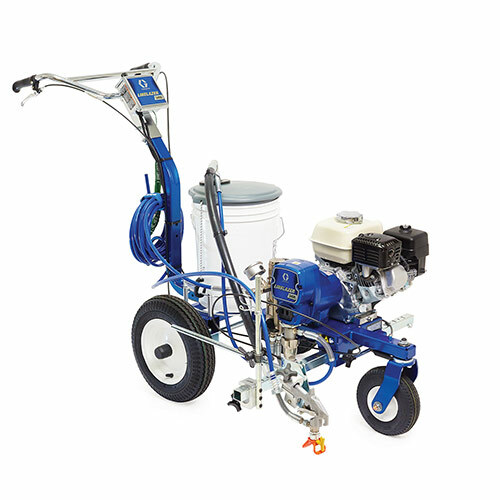 The LineLazer 3400 features all of Graco’s standard high quality highlights, such as an easy out filter, swivel front wheel with lock, electronic pressure control and more! 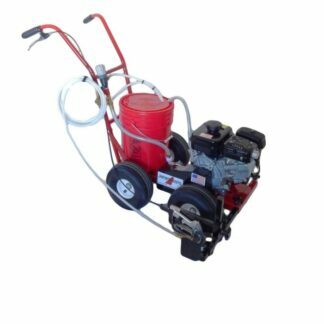 Electronic pressure control adjustable between 0 and 3300 psi for field and pavement line marking. Graco Endurance pump – built for the most demanding applications.